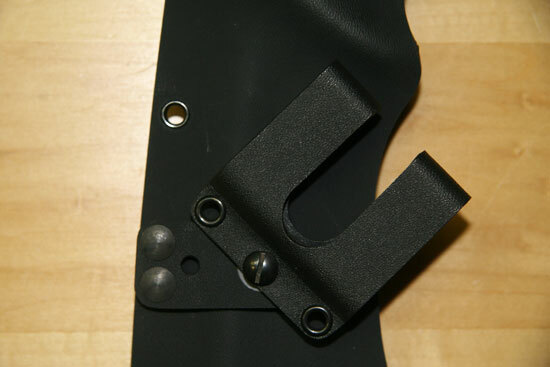 Standard 1.5” opening enclosed belt loop. 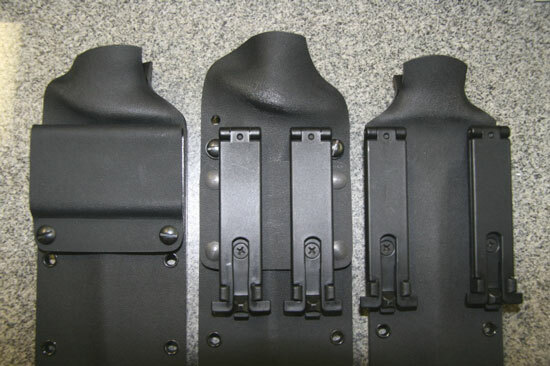 Belt carry options (left to right): Standard belt loop, military MOLLE-LOK mount on offset plate for PALS grid spacing on load-bearing gear and armor vests, civilian MOLLE-LOK mounting along perimeter of sheath. 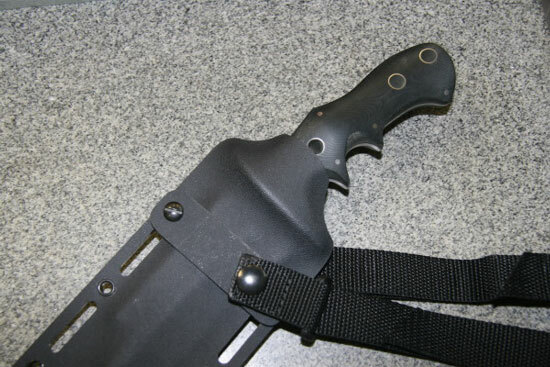 Civilian MOLLE-LOK mounting along the sheath perimeter. 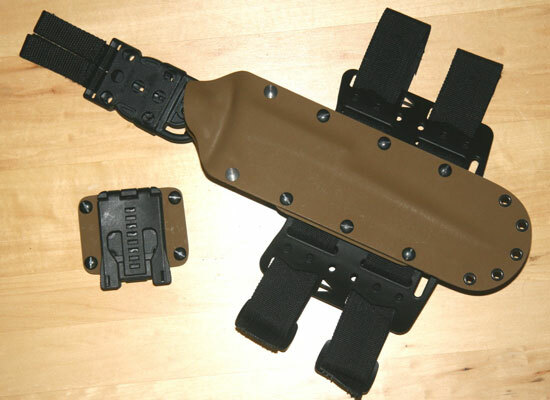 Drop-Leg Carry platform with dual thigh straps, adjustable/detachable belt loop, and secondary gear attachment points alongside the sheath. 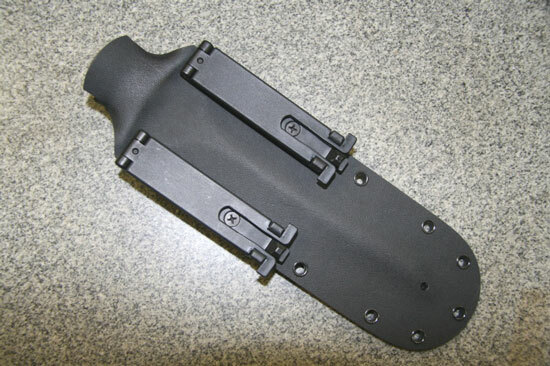 Also shown is a Tek-Lok belt mounting assembly on its sheath attachment plate. 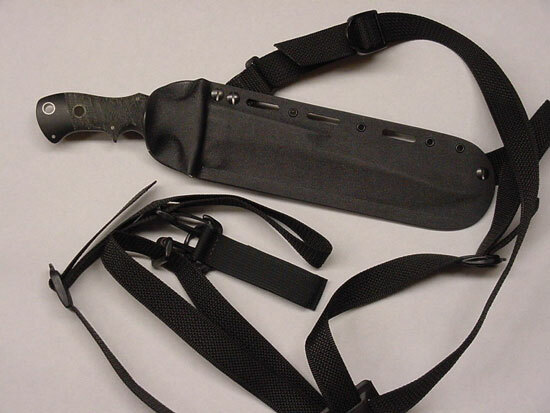 Shown are two Flesheater 3 sheath belt carry options. 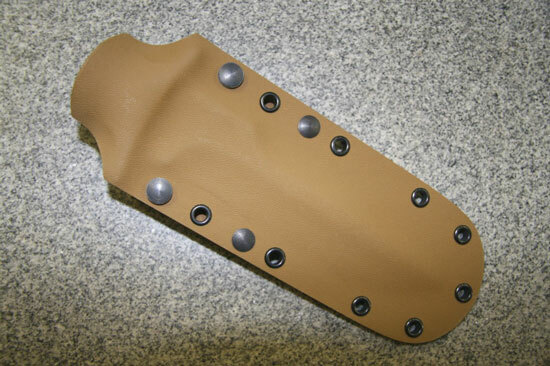 One is the standard 1.5” foldover enclosed belt loop. 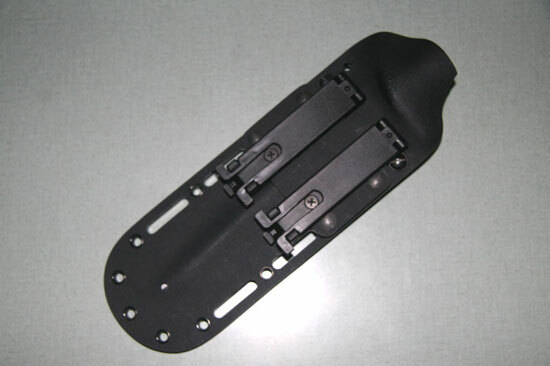 The other shows a 360° adjustable belt-loop mounting system that allows for vertical, canted, cross-draw, and inside-the-pants carry locations. 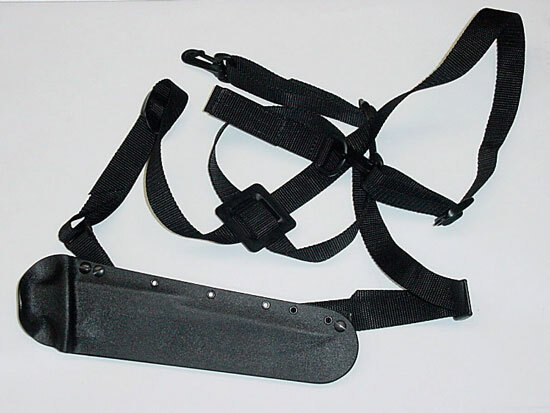 Full breakaway shoulder-rig sheath with figure-8 shoulder-rig harness. 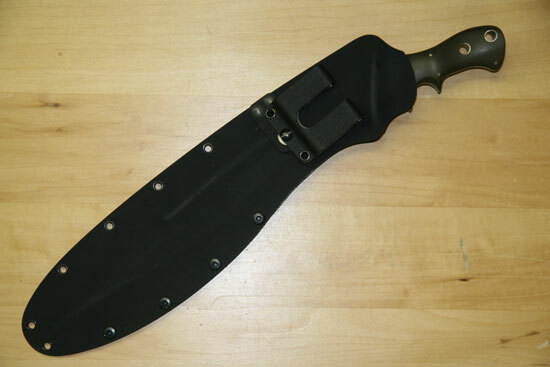 The knife is worn handle down and edge forward for rapid deployment in a low-impact configuration with no secondary retention feature. 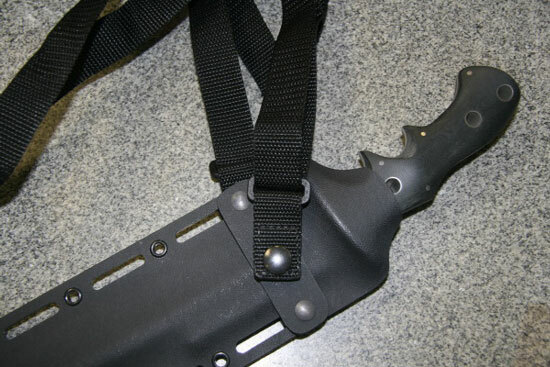 This handle-up shoulder-rig set-up is the fastest means of deployment for a knife in a one-count move. 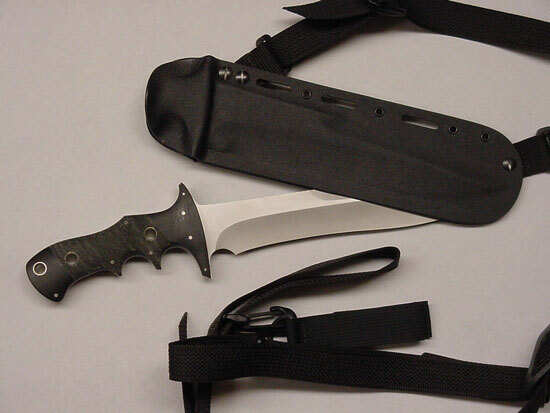 This is how Sensei Advincula carried his 18” bolo while in the field during his three tours in Viet Nam. 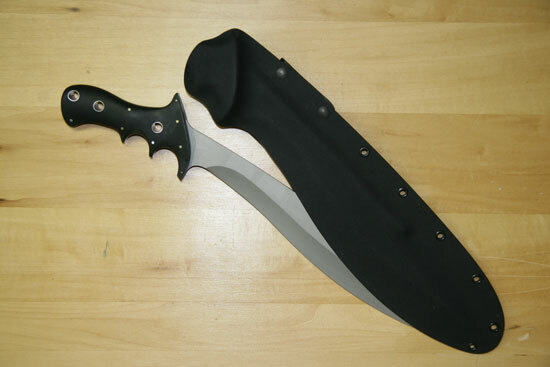 The knife may be set up either edge back or edge forward, depending upon preference. 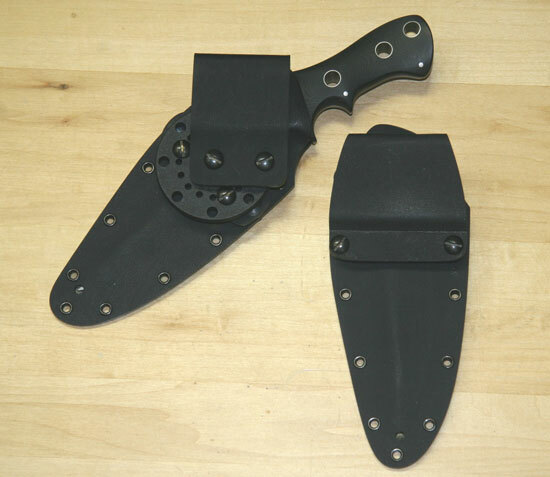 The Flesheater 5 Utility Bolo kydex sheath is a partially enclosed edge-side breakaway design incorporating removable release exposure adjustment screws along that side. 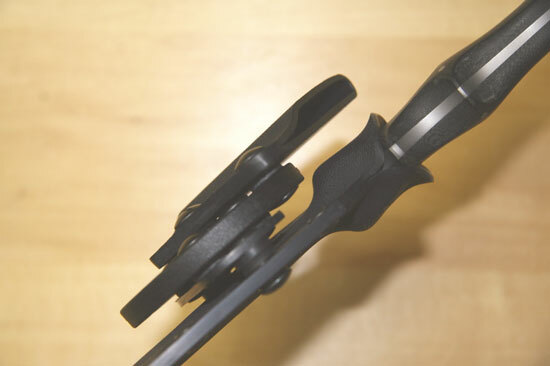 This allows for an opening adjustment between a full breakaway set-up to a more vertical extraction direction providing greater retention security during carry. 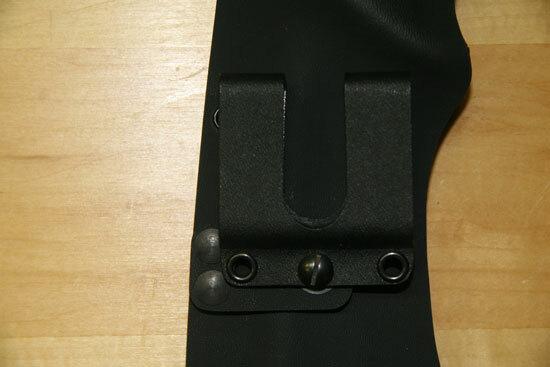 The belt-loop shown may either be locked horizontally or, with the removal of a single screw that stores on the opposing side of the mounting plate, fully rotating for easier access or more comfortable positioning when seated. 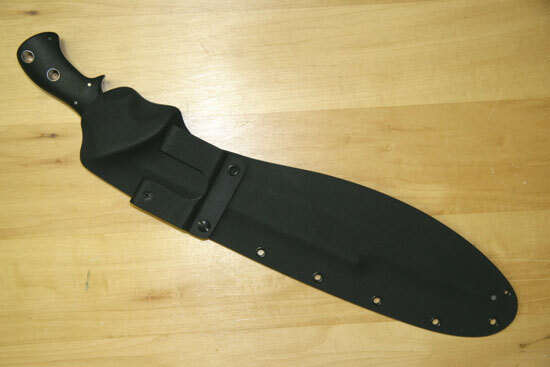 This Flesheater 5 Utility Bolo kydex sheath is set up for a full breakaway set up only with a fixed foldover belt loop.